Post news for your Collaborators and add a photo from your phone. News is seen only by your connections. News posts are added to your journal logs. 2. 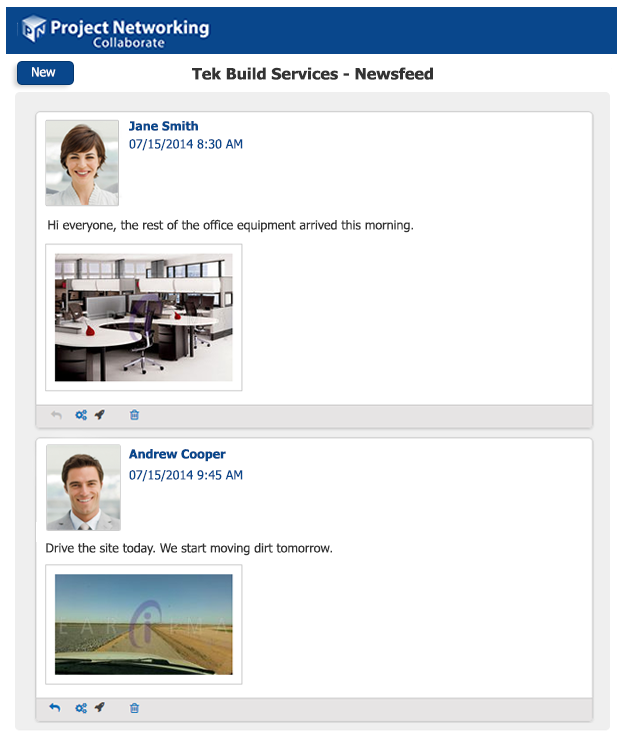 Share news through automated workflow. Select the sprockets on your Collaborator news to share with all Collaborators. 3. Send a private response to the poster of news. 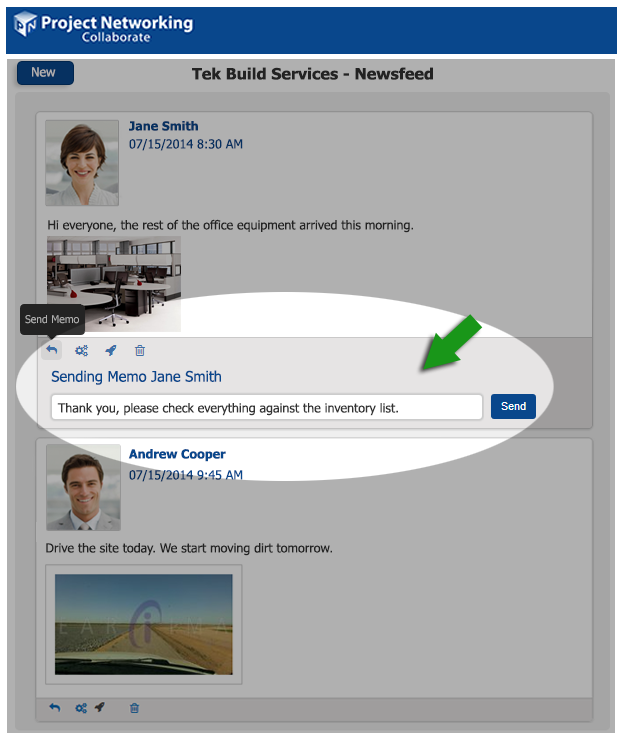 Select the "reply" arrow to send a private message to the Collaborator who posted the news. 4. 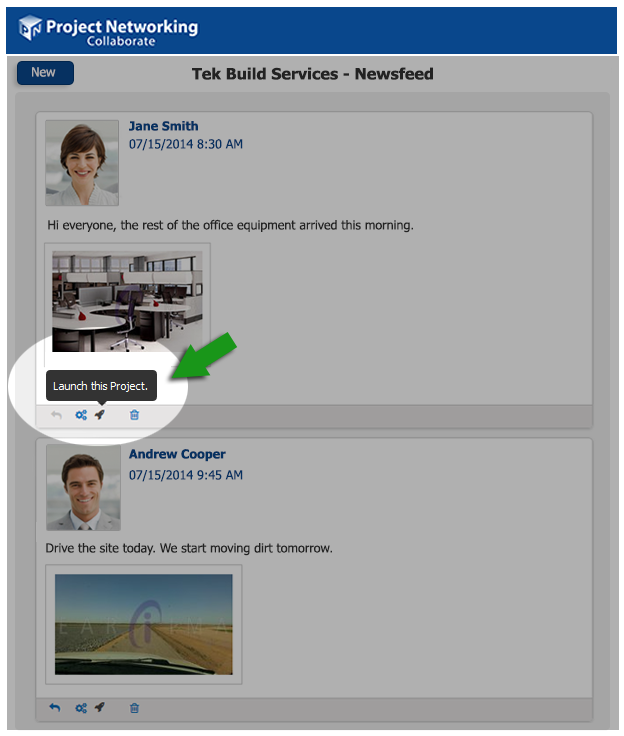 Launch a project from newsfeed items. Select the Rocket on a newsfeed to launch the project from your homepage.